The visitors pose with some of the scholastics and the two Oblate vocation directors, Fr. Richard Hall (on left) and Fr. Harold Fisher (on right). 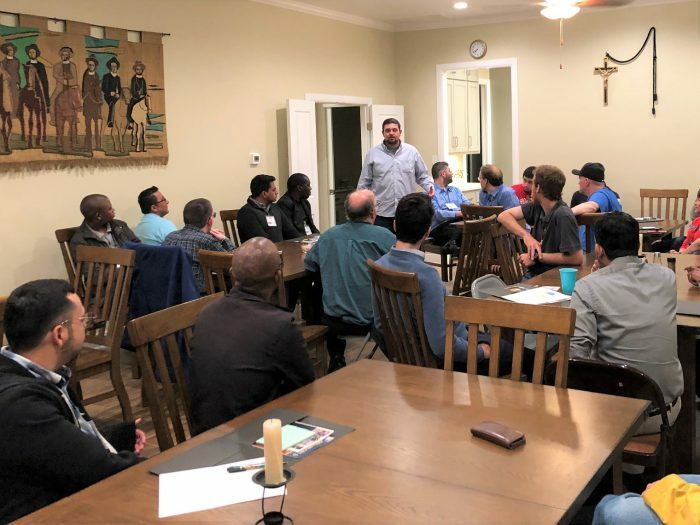 The Missionary Oblates held their January Come and See weekend, January 18-20 in San Antonio, Texas. Sixteen young men came from Utah, California, Illinois, Tennessee, Virginia, and Texas to attend. 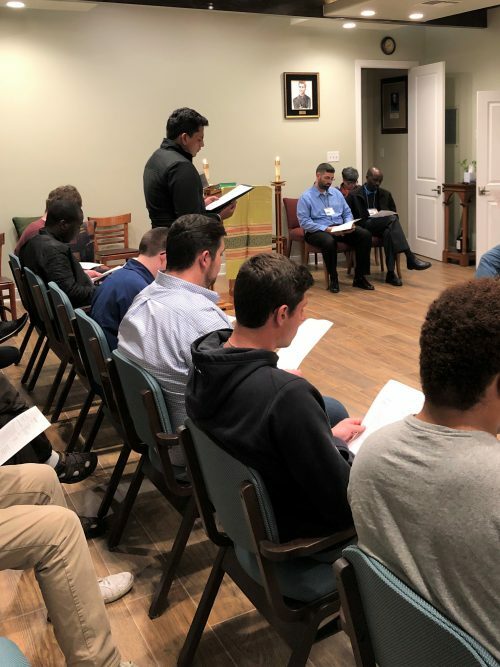 Plus, one more attendee is a native of Sri Lanka who discovered the Oblates and his vocation while doing research for a Ph.D. at Oblate School of Theology in San Antonio. 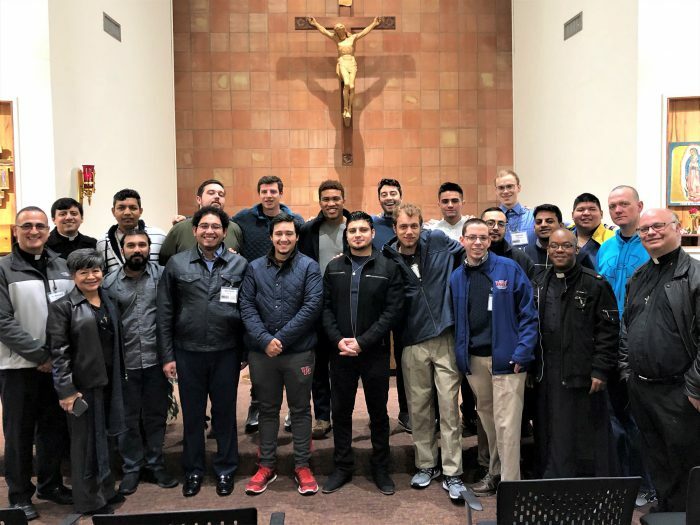 The men who attend a “Come and See” are, for the most part, university students who came to know the Oblates through retreats, confessions, the website or contact with other Oblates. Some are referred through personal connections. For example, two of the men who attended came through Fr. Ray Cook who ministers at Rice University. Fr. 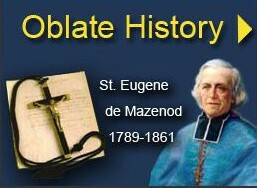 David Muñoz, OMI familiarizes the group with St. Eugene de Mazenod and the Oblate charism. Activities at this weekend included: morning and evening prayer, liturgy every day. A presentation by Fr. 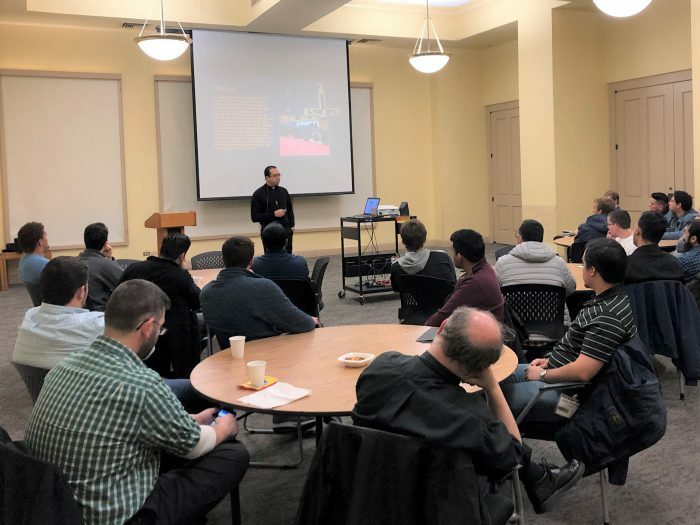 David Muñoz on the charism and St. Eugene. 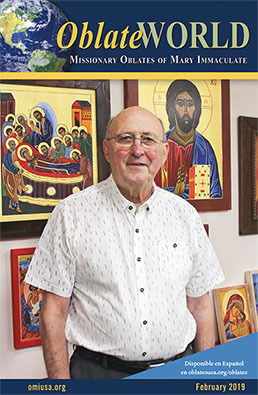 Often times they’ve never heard of St. Eugene so it is a “must” that they know who they are connecting with and who the Oblates are because of St. Eugene. 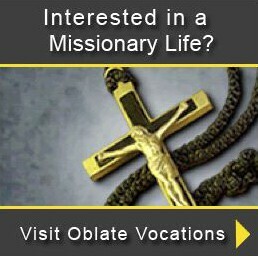 The Oblates also have a ministry experience for them. 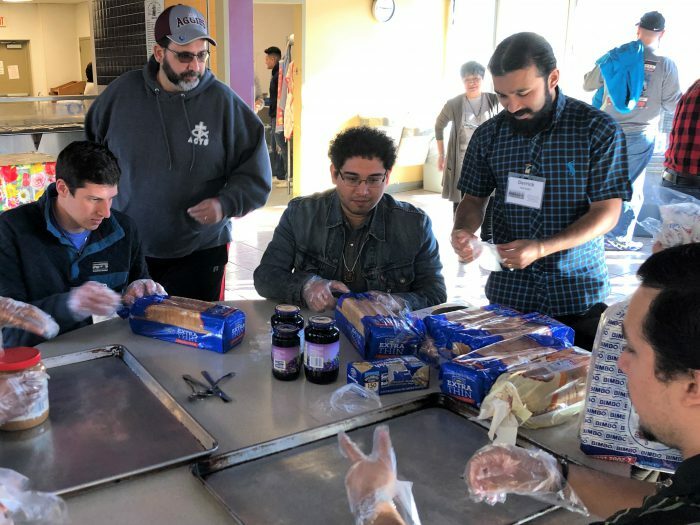 The group often connects with the Oblate Associates from San Juan de los Lagos Church who have an outreach feeding and clothing the poor and homeless of San Antonio. The men prepare meals and clothing for handing out and they interact with the poor listening to their stories and getting to know them. Ages ranged from 23 to 40. The 40-year-old is a policeman. If he were to continue, it would be necessary to obtain special permission from the provincial, the normal age range for candidates is 18-39. The next “Come and See” Weekend will be held in the summer of 2019 with an exact date to be determined.